We're experts, dedicated to our craft, our products, and our community. Guaranteed workmanship and professionalism are a standard here. Floor your apartment, office, rehab property, upmarket manor, or family home! With extensive knowledge and experience in floor coverings and installation, TUF Flooring has been serving the local community of Boise, Idaho for over 15 years and has an exceptional reputation to show for it. Jeremy who is the head honcho at TUF Flooring and Marcella, the incredibly skilled office manager saw a gap in the market and decided to take a leap of faith and open up the showroom in order to help inspire others to turn their creative ideas into reality. We believe in quality over quantity, and that every home or business should reflect your personal style and character. TUF Flooring has a passion for the flooring industry and has built long-lasting relationships with qualified builders and installers who’s workmanship and professionalism are guaranteed to turn any of your renovation nightmares into a pleasant experience without the messy and costly hassles. Often times, flooring is not seen as an important attribute to a certain space, however, flooring is the foundation, the central attraction to any business, home or retail space. At TUF Flooring, we believe quality is a standard you should experience whenever entering our showroom. Our hands-on staff is well equipped with the expertise to help you from start to finish of any flooring project. We are proud stockists of reputable brands and offer high quality and luxurious floor coverings which are guaranteed to last throughout the decades. From apartments, offices, and rehabs to upmarket manors, TUF Flooring is proud to have been a part of laying the foundation for many clients with whom we have a strong ongoing relationship with. Our professionalism and dedication to our community are what sets TUF Flooring apart from the rest. TUF flooring is your one-stop shop for all your flooring and countertop needs. 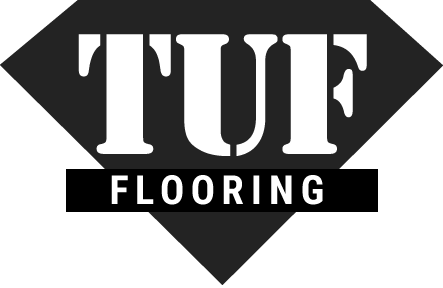 Our professionalism and dedication to our community are what sets TUF Flooring apart from the rest.